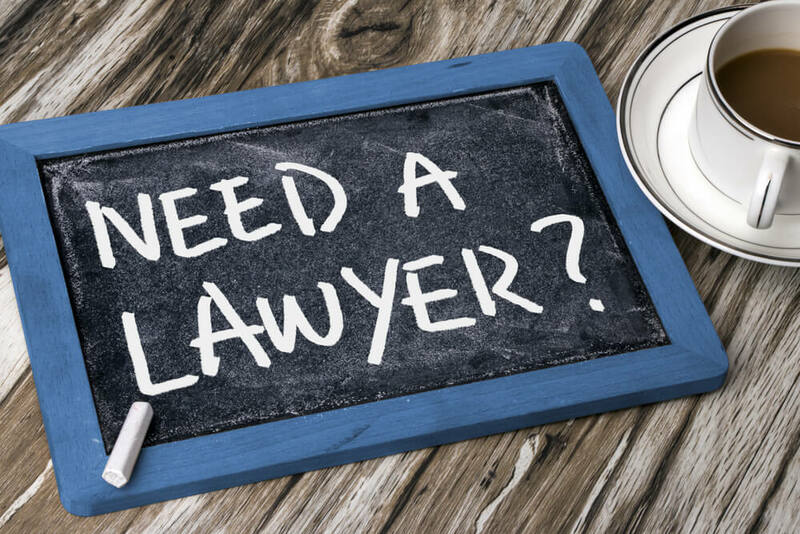 A Notary Public in Singapore is usually a practising lawyer and has been appointed by the Singapore Academy of Law (SAL) in accordance with the Notaries Public Act and its internal guidelines. A Notary Public’s duty is to attest deeds, contracts, and other instruments that are to be used abroad (outside Singapore) and to give a certificate of the due execution of such documents duly authenticated by his signature and notarial seal. Unlike a Commissioner for Oaths, a Notary Public is in a position to witness a document signed in front of him which is in a foreign language. Notarisation (or Notarization) is the act of a Notary Public authenticated by his signature and Official Seal, certifying or attesting the due execution in his presence of a document such as a Deed, Agreement or other writing, or verifying some fact or thing of which the Notary Public has certain knowledge. Notarisation is normally relevant for documents that are intended for use in other countries be executed before a Notary Public before they are valid. It is generally not required for documents executed in Singapore for use in Singapore. What are the common Singapore Notarial Services? What are the duties and functions of a Notary Public? Apostille is certificate which verifies and confirms the seal and signature of person who authenticated the document. Not all countries can issue Apostille, but only the countries who had signed ‘Hague Convention Abolishing the Requirement of Legalisation for Foreign Public Documents’ (the “Convention”). As Singapore is not a party to the Convention, Singapore Notary Public cannot issue Apostille. An alternative to Apostille is the Singapore Notary Public will issue a Notarial Certificate, usually to be authenticated by the Singapore Academy of Law, and then further legalised by the releavant foreign Embassy in Singapore. Sometimes, there is a requirement to be legalised by the Singapore’s Ministry of Foreign Affairs (MFA) prior to the legalisation in the Embassy. You are advised to check with the Foreign Agency requesting for the legalised documents as to their requirements. How do I know if your Notary Public is genuine? Just as there are fake documents that are being produced for notarisation, there may be people who claimed to be a Singapore Notary Public when they are not duly appointed by the Singapore Academy of Law (SAL). To verify if a particular Notary Public is genuine, you may wish to visit this Link (SAL). My UK Lawyer wants to know the authenticity of your Notary Public's appointment? We do get requests from foreign lawyers or agencies who have received our notarised documents (eg. certified true copy of document or witnessing of execution), but wish to verify with us if the notary services were actually provided and/or the authenticity of the appointment of the Notary Public who performed the notarial services. Usually, upon our clients having received our notarised documents, the notarial services have been duly completed and concluded. If the third party still wish to verify with us and wish to communicate with our Notary Public, please note that additional fee will be incurred as additional work will be done. To get our estimated cost of Third Party Verification Request, please use our Singapore Notary Fee Calculator. I wish to certified true copy of my private documents, such as educational certificates? A common Notary Public’s role is to certify true copies of educational certificates or letters. It is well known that many educational certificates or documents are fake, forged or not genuine, especially educational certificates purportedly from foreign institutions. Additional costs and expense for the above verification are to be borne by you, and may be charged at our hourly rate. We reserve the right not to provide the above service at our sole discretion without furnishing any reason whatsoever, even though you have attended at our office for the same. Any inconvenience caused is regretted. 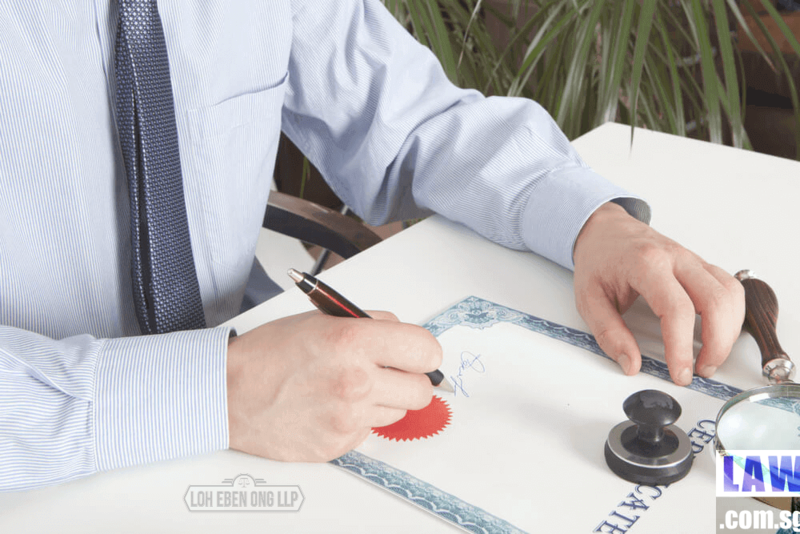 What should I do prior to contacting a Notary Public? We receive numerous enquiries for our Notarial Services on a daily basis, and some have requested for advice on the foreign authority or organisation’s requirements. In general, our Notary Public will provide his services within the ambit of Singapore law, and has no knowledge of the various foreign’s authorities, organisations, institutions and entities’ (the “Foreign Agency“) requirements. Prior to approaching us, you should make due enquiries with the Foreign Agency to its requirements, its formats, and/or samples. Before engage us or making enquiries, please check with the relevant Foreign Agency, State, Country, Court, Company or Entity that require the document(s) to be notarized on their exact requirements. We are unable to advise you on the requirements of the Foreign Agency as these are prescribed by them, and not us. Legalization by Embassy or Consulate Office in Singapore. Please note that we may not offer all of the above services, and our charges may vary depending on the type of services undertaken by us. There will be prescribed professional costs for each stage, and additional charges and disbursements for additional services rendered. I want to legalise at the Embassy, do you know the procedures? Our Notary Public is purely providing Notarial services, and legalisation (or legalization) at a particular embassy is not our responsibility. There are possibly 100s of foreign embassies or consulate offices in Singapore, and each has their own operational hours and procedures for legalisation. We can’t possibly know each and everyone’s policies, requirements, and/or procedures. Besides, the policies, requirements and/or procedures may change from time to time by a specific embassy (eg. China Embassy). It is entirely the client’s responsibility to find out the exact requirements from the specific embassy (eg. US Embassy or China Embassy) on the documents that you wish to legalised. Each embassy has its specific requirements and/or procedures, and please do check with the specific embassy before approaching our office for notary service. Plesee contact the embassy to find out the exact requirements, including the necessary forms or documents, eg. letter of authority for submission, translation of document, wordings in the Notarial Certificate. When our office assist you in notarising your documents based on your requirements, we do not represent or warrant whatsoever that the specific embassy will accept your documents. If allegations are made against our office and/or notary public for not being conversant with a specific embassy’s requirements and/or procedures, we reserve all our rights at law or otherwise against such client when wrongful/negligent allegations are made. Where work has been done pursuant to your requirements or instructions, but the documents subsequently rejected by the embassy for whatever reasons (eg. your translation not accepted by embassy), our charges paid cannot be refunded. What is authentication by the Singapore Academy of Law? For document executed before a Notary Public for use in a foreign country, the Foreign Agency may require that the authority and signature of the Notary Public be sent to the Singapore Academy of Law (SAL) for authentication. If authentication by SAL, you should request the Notary Public to prepare a Notarial Certificate, in addition to the usual notarial services requested. If the Foreign Agency requires you to legalise (legalize) the document by the Foreign Embassy in Singapore, most likely, the authentication by SAL is required before you are able to send the document to the Foreign Embassy for legalisation (legalization). At SAL, it will verify the authority and signature of the Singapore Notary Public and give a certificate to that effect. A fee is chargeable by SAL for issuing such Certificate. Below is the flowchart of the Singapore Notary Public process. How to submit document to SAL for authentication? The authentication service provided by Singapore Academy of Law (SAL) is to authenticate the signature of a Notary Public in the Notarial Certificate. For authentication service by SAL, you need to submit the Notarial Certificate signed by the Notary Public together with the attached document to SAL and pay the relevant fees [$42.80 (inclusive of GST) per signature for Normal service, and $128.40 (inclusive of GST) per signature for express service]. These are some of the important links and addresses for Notarisation (notarization) and Legalisation (legalization). Please check with repective departments as to their respective operating hours, and no representation is made as to the accuracy of the information contained in this page. Third parties’ links are provided as a matter of convenience, and the copyright thereof belongs to the respective copyright owners. Please click the link below to access to select the specific country embassy to enquire about the legalisation (legalization) requirments. I am applying for PR, do you do translation? No, we are a law practice and our firm nor our Notary Public handle translation. If you require translation service, please approach a translation company. I don't have the original document, can you still certify true a copy? The quick answer is “No”. The Notary Public will need to have sight of the original document (eg. Passport, Bank Statement, Education Certificate) before he is able to certify true on the copy produced. If you don’t have the original document for comparison with the copy, we are unable to certify true on a copy to be produced. Please do not schedule an appointment with us unless you have a true original to be produced in our office. Do you qualify when you certify true copy of an original private document? Unless we are requested to write to the issuing authority of a private documents (subject to our charges to authenticate the document), our Notary Public will sight the original document produced by the client. In certifying true of a copy by our Notary Public, our Notary may at his sole absolute discretion qualify such certification. The Notary Public does not endorse, verify or make any statement as to the accuracy, truth, legality or otherwise of the contents of the document(s) or the purposes for which the document(s) may be used and the person relying on the certification, you should verify the authenticity with the issuing authority / organisation / entity. We do not qualify for documents that we have no problem with the authentication issue, such as Singapore Passports, Singapore NRICs, Singapore Employment Pass, Singapore Work Permits and Singapore Marriage Certificates. Typically, we will qualify for documents such as educational certificates and transcripts, bank statements and contracts. I have a bank form that need a Notary to witness my signature? Commonly, a client will bring along a blank bank form to sign in the presence of Notary Public, which is not the correct practice. Prior to attendance in the Notary’s office, please ensure that the form is duly completed and you shall sign the form in the presence of our Notary Public. DO NOT PRE-SIGN: If your form has already been pre-signed, our Notary will be unable to attest to your signing of the form. What documents must I bring for attestation? I have pre-signed the document, can your Notary Public witness my signature? The Notary Public cannot attest to your signing of the document unless he witnessed you doing it. If you have pre-signed the document, please do not attend at our office unless you are prepared to re-sign or sign on a fresh document in the presence of our Notary Public. Charges for most Notarial Services such as witnessing and issuing Notarial Certificate are prescribed by law and are not negotiable. Services outside what are prescribed by law will be charged at the Notary Public’s rates based on the nature of the request and complexity. I wish to certify true a digital document in the Bank's website, what are your charges? Where online verification of a document is required (eg. bank statement from online banking site), our Notary reserves the right to reject such certification. However, in the event that our Notary is prepared to certify such document subject to online verification of documents, additional charges will be levied depending on the complexity and time spent by our Notary. Please do not use our service if this is not acceptable to you. What are the prescribed fees payable to a Notary Public? The fees for Singapore Notarial Services are statutory prescribed, that means it is fixed except for services or additional services not specified. For your ease of calculating the fees for a particular service (eg. certified true copy or witnessing), please use our Singapore Notary Public Fee Calculator. For the statutory prescribed fees, this can be found at this Link. Legalisation is the authentication by the embassy or consulate, located in the country of the Notary Public, of the country in which the document is to be used, i.e. the official attestation of the origins of a document. Therefore, for example, a document executed in Singapore for use in France would be legalised by the French Embassy in Singapore, and a document executed in France for use in Singapore would be legalised by the Singapore Embassy in France. The formality of legalisation is also known in the United States and some other countries as “consularisation”. Before approaching our Notary Public, you should first approach the embassy or consulate in Singapore on its procedures for legalisation, as each has its own rules and procedures. What is Legalisation of Government Documents? For documents required to be legalised ( legalized ) by the government, please approached the Ministry of Foreign Affairs directly. All documents issued by the Singapore Government Departments (eg. Registry of Marriage Certificates, Birth Certificates and Educational Certificates from local government schools) in their original text will be directly legalised by Ministry of Foreign Affairs (MFA). However, computer generated documents eg. Registrar of Marriage Search, Certificate of Making Decree Nisi Absolute, Adoption Petition, Business Profile from ACRA etc, must be certified by the issuing department first before presenting to MFA for legalisation ( legalization ). What is Legalisation by MFA of Non-Government Documents? Non-government documents (foreign / private / company documents) must be first referred to a Singapore Notary Public for notarisation and then to the Singapore Academy of Law (1 Supreme Court Lane, Level 4, Singapore 178879, Tel: 63324388 / Fax: 63344940) for certification before presenting documents at the Ministry of Foreign Affairs (MFA) for legalisation (legalization). Commercial documents such as Invoices, Bills of Sales, Certificates of Origin, Fumigation certificates, etc should be certified or seen by any of the four Chambers of Commerce (International, Chinese, Indian & Malay) or the Singapore Manufacturers’ Association before presenting to MFA for legalisation. What is Legalisation by Embassy? The Agency may require legalisation (or legalization) or authentication by the Embassy or Consulate located in the country of the Notary Public, of the country in which the document is to be used, i.e. it is the official attestation of the origins of a document. For example, if a document executed in Singapore before a Singapore Notary Public for use in France would be legalised (legalized) by the French Embassy in Singapore. Usually for non-Commonwealth countries, apart from verification by the Singapore Academy of Law (SAL), the document may also have to be sent to the Embassy or Consulate of that country for further certification or legalisation. Each Embassy or Consulate will have its own requirements for legalisation (legalization). Most of them would require the payment of a fee. Some require copies in addition to the original signed by the Notary Public, while others require further verification by the Ministry of Foreign Affairs before legalisation (legalization). Where non-Commonwealth countries have no embassy or consulate in Singapore, the Consular Office of the Ministry of Foreign Affairs has been known to render assistance in the legalisation of documents. Please visit this Link for a list of Foreign Missions (Embassies and Consultates) accredited to Singapore. My document has been rejected by Embassy, what should I do? Prior to engaging a Notary, you should check with the relevant embassy on its procedures and policies for legalisation and whether it requires any specific format. Different embassies have different policies and procedures and these change from time to time. Our office will assist you in preparation of the documents for legalisation (eg. Notarial Certificate) in accordance with your requests/instructions, and therefore, work has been done by us. Regretably, we are unable to advise you on a specific embassy’s procedures and policies as there are hundreds of embassies and consulate offices in Singapore. Once your documents for legalisation has been rejected by the embassy, the costs and expense (eg. notarial fees and SAL fees) will be wasted, as you may not be able to reuse these documents again. Please note that China Embassy has strict authentication and legalisation procedure. Please visit the following link for the relevant latest policies and procedures. For legalisation procedures, please visit Indonesian Embassy in Singapore. For Consular and Legalisation services, visit Italy Embassy in Singapore. For Consular and Legalisation services, visit Japanese Embassy in Singapore. For Consular and Legalisation services, visit Philippines Embassy in Singapore. There is no known website. For Consular and Legalisation services, visit Russian Embassy in Singapore. For Consular and Legalisation services, please visit Taipei Representative Office in Singapore. Please take note of the legalisation process/requirements at UAE Embassy in Singapore. Foreign Missions, Embassies and Consulate Offices in Singapore. Please visit the following link (of Ministry of Foreign Affairs Singapore) to search for the relevant foreign embassy that you require legalisation. The listing includes address, opening hours, email address and website (if any) of the relevant embassy.